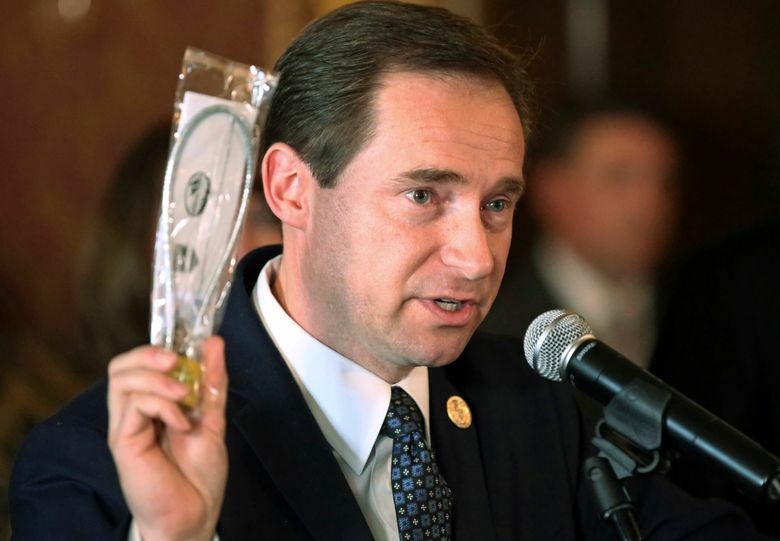 SALT LAKE CITY (AP) — A new task force created to attempt to slow a troubling rise of teen suicides in Utah recommended Tuesday that officials ratchet up public messaging to implore gun-owing parents to keep firearms locked up. That was part of a series of recommendations unveiled by a coalition created last month by Gov. 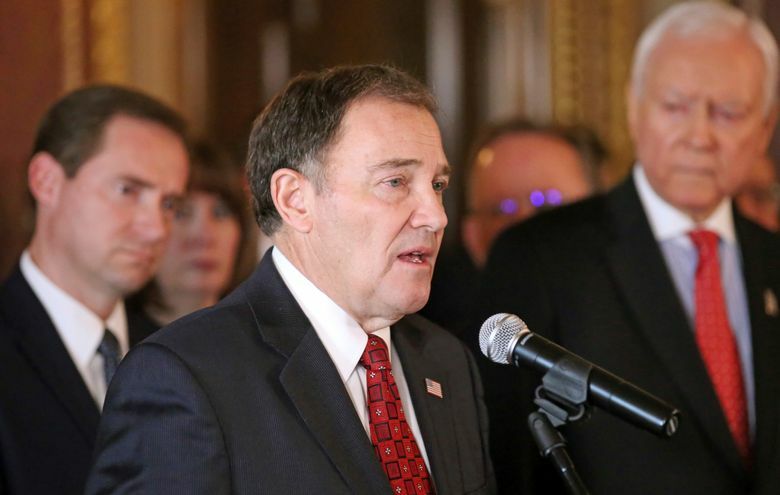 Gary Herbert in the latest move by public officials desperate to take action after the average yearly total of youth suicides over the last five years has more than doubled the yearly average from the previous decade. The coalition that includes legislators, a high-ranking Mormon leader, the Utah Jazz owner and the leader of an LGBT rights group also recommended that lawmakers find funding to expand existing programs that seem to help, including crisis outreach teams that go to person’s home after a call is made to a crisis hotline. Guns were used in about half of the 42 youth suicides among people age 10-17 in 2017, state data shows. That matches historical trends that show firearms are the most common weapon used in youth suicides. The state has already given out 40,000 free gun trigger cable locks in the last few years and people who take a class to get a concealed carry permit now hear information about the importance of locking up their guns. Cox and Eliason, both Republicans, said they think educating parents about gun locks is the best method, not changing laws to increase punishments for parents who leave their guns unlocked or encouraging more prosecutions. “You can have all the punishments in the world, but if people don’t know why they shouldn’t do something it continues to happen,” Eliason said. The mobile crisis outreach teams the coalition wants expanded beyond Salt Lake City are dispatched to people’s homes like a “mental health ambulances” but in plain clothes and plain cars to help a person after he or she calls a crisis line, Eliason said. The group also recommended that a mobile app called Safe UT that offers live confidential crisis intervention through texts be further promoted in hopes that it gets more widespread use. A proposal from Eliason is already cruising through the Legislature this year that would require all crisis lines be staffed around the clock. It was spurred by the story of a teenage girl who killed herself after calling a suicide prevention line and getting no answer. The coalition also determined that more data is needed to understand why teenagers are experiencing suicidal thoughts. Herbert said special attention is needed for high-risk groups such as LGBTQ teens and Native Americans. Though it wasn’t mentioned during the presentation or in a summary of recommendations, Cox said the group will also urge all school districts allow a survey sent out by the U.S. Centers for Disease Control and Prevention to ask students about their sexual orientation. In the past, some districts have balked, saying it’s an inappropriate question, despite the insistence by health officials that it’s important. Asked about it after the news conference, Eliason said he would have to see the way the question is framed before backing it. U.S. Sen. Orrin Hatch spoke at Monday’s news conference at the Utah state Capitol and implored parents to remind their children how much they are loved. The retiring longtime senator said teenagers today face many social pressures and often, bullying.